For more check out our full Daylight review. 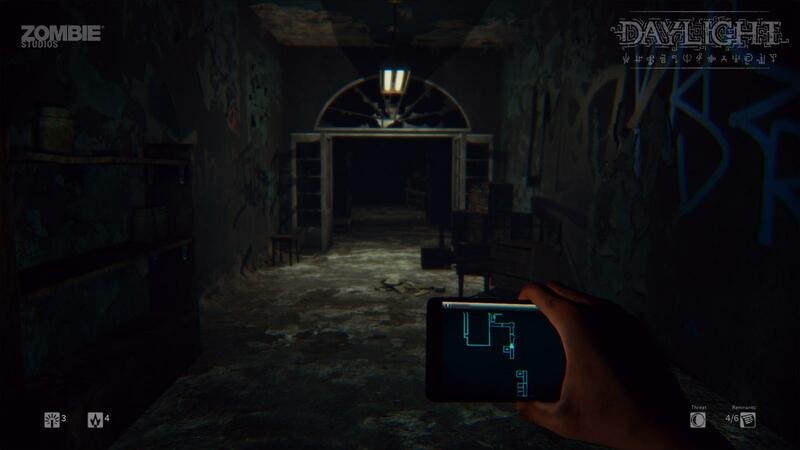 When it comes to survival horror games, there is a flaw inherent to the vast majority: It just isn’t all that scary to come face-to-face with a screaming monster when you have hundreds of rounds of ammo and enough weaponry to invade Luxembourg. It also becomes far less intense if you want to replay the game, since you’ll already know where everything is and what is waiting for you around the corner. But what if you didn’t have any weapons? What if you couldn’t possibly know where you were going each time you fire up the game, even if it’s not your first playthrough? That’s the idea behind Zombie Studios’ downloadable, survival horror title, Daylight, coming to the PC and PlayStation 4. You have no weapons of any kind, minimal light, and the levels are all procedurally generated, meaning they are always different. We recently had the chance to check out a few levels from the game (including the same level recreated) in a recent hands-on demo. Run run run. Daylight begins with a case of amnesia. You step into the shoes of a woman that awakens in a derelict hospital, with no memory of how she got there. Naturally, the dark and crumbling house of healing is haunted and filled with things that want to do harm to you. They are evil, it’s kind of their thing. How you wound up in this place, what happened to your memory, and where the strange, ritualistic carvings on you arm came from are all at the heart of the mystery. Never the same. The story is only part of the hook of the game. Each time you enter a new section, you are stepping into an area that is completely original and created just for your playthrough. That’s the procedural generation at work. There will be some similarities of course, but where you need to go, the collecting of vital items, and locating secrets is different each time. There is, however, a central storyline that ties it all together. You piece it together organically as you play, collecting notes, files, and the odd exposition-driven collectible. With the game’s ever-changing nature though, you may not be able to pick up everything in one playthrough. That shouldn’t negatively impact the story in a drastic way, but if you want to know absolutely everything – the levels may change, but the particulars of the story don’t – you may need to play through the six-ish hour game more than once. The goal is to survive. 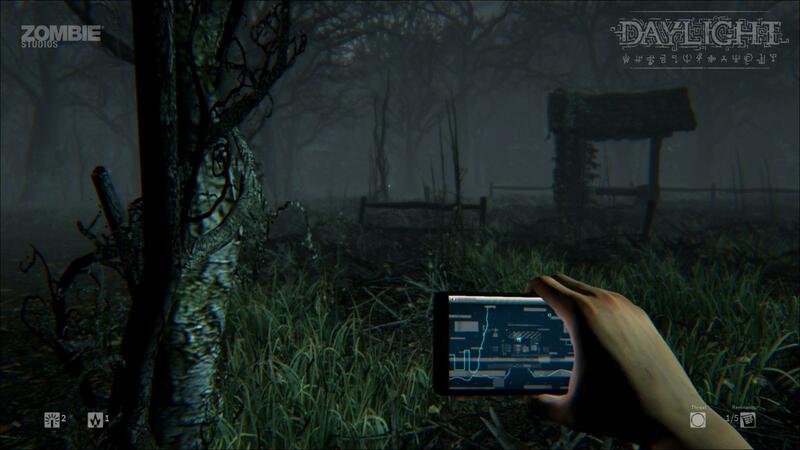 Daylight is a true survival horror game, with an emphasis on survival. You begin with nothing but the light on your cell phone. You will find a few tools along the way, but no weapons – there is no combat. Your goal isn’t to defeat the evil entities coming for you, but rather to run for your life. Along the way you’ll also find other light-emitting objects, including a glow stick and flares. 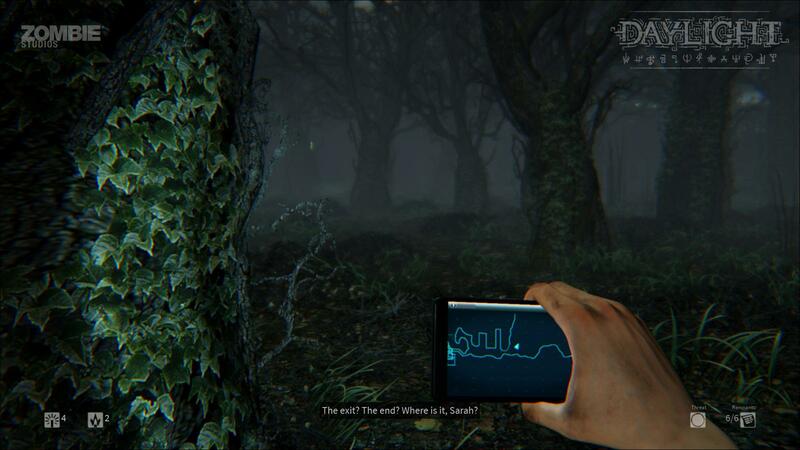 The glow sticks are especially handy, as they can help to further highlight secrets in the level. In one section of the demo, the path appeared to dead end in a doctor’s office. The bookcase seemed to be the obvious place to look for a secret, but using a glow stick showed that a lamp on the table hid the switch needed to progress. That was a necessary step to proceed, but the glow sticks can also help to uncover secret items and whatnot. Explore and advance. The sections, at least the ones that were on display, are locked by a magic-barred door. In order to advance, you need to collect the scattered sigils required to break these barriers. That means you’ll need to explore. As you wander, you’ll come across distortions, shimmering masses of supernatural light containing things that want to do you harm. You may be able to avoid these for the most part, but once something is locked on, you need to run. You’ll know you’re in danger when the carvings on your arms become more pronounced and the display on your cell phone – which also doubles as a map – becomes distorted. When this happens, you are in deep trouble. Abandonment issues. Even though the hospital you are in changes every time it is generated, the general aesthetics remain consistent. As you would expect of a game like this, the setting is suitably derelict, and filled with disturbing imagery. The whole presentation is helped by the enhanced power of the PS4, and the game looks just as good, if not better, on PC (though our demo was PS4 specific). Paint cracks off walls, and rubble is scattered throughout the map. Abandoned wheel chairs are abandoned and rusted over. Some natural light occasionally filters into the area you are in, but for the most part, the world is pitch black, illuminated only by the weak glow of your phone for the majority of the time. In a game like this, presentation is key. The atmosphere is as important as any aspect of gameplay, and Daylight is all about the atmosphere. Sounds are an important facet of the game, and you’ll hear creaks from the wood as well as the odd, inexplicable noise from just out of sight. It’s all meant to unnerve you, and it works. It’s difficult to really give a proper recounting of a game like Daylight after a few, brief playthroughs, because what we saw and experienced won’t be the same for anyone else. A game like Daylight requires experimentation and exploration. What we saw was encouraging though, and we can’t wait to try the game out on a dark night with the lights off when it is released on PC and PS4 on April 8.